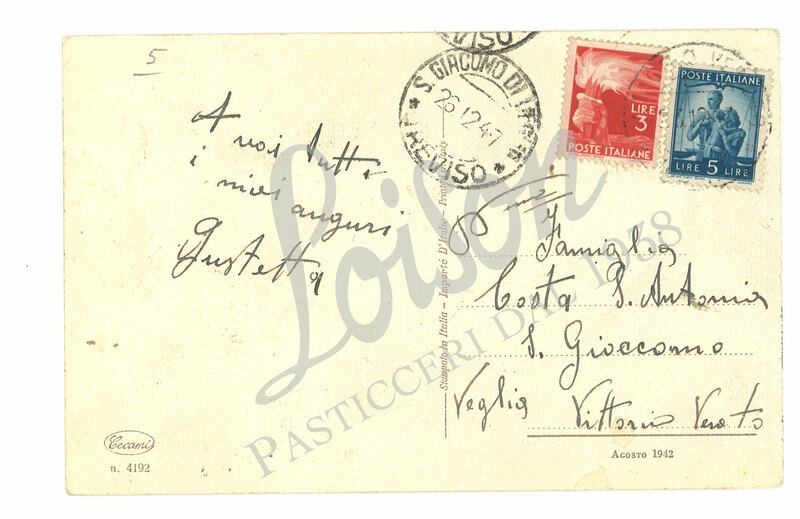 Panettone-themed cards have a special place in our collection of historical postcards dedicated to the holiday season. These were greeting cards sent to distant friends and relatives, or included with gifts sent to customers. 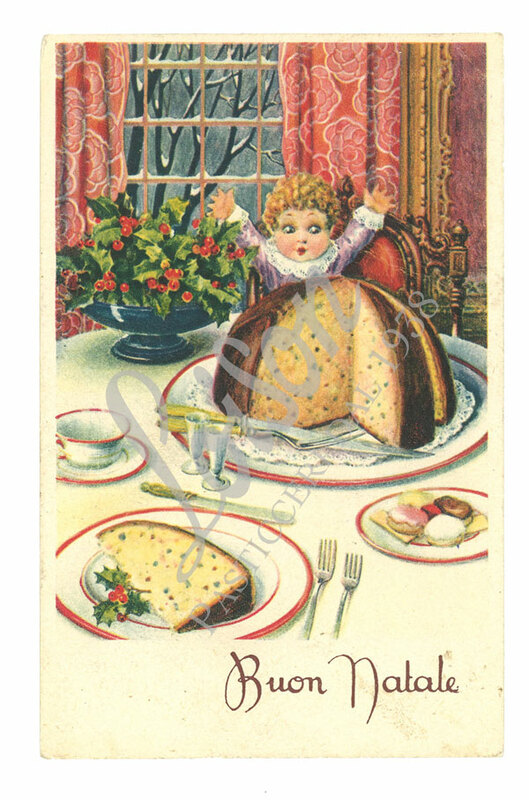 The protagonists of this series of festive postcards are joyful children, eager to sink their teeth into a slice of freshly cut sweet bread. The scenes on this postcard depict a dining room with a lavishly set table taking center stage. Everything exudes a calm and friendly atmosphere, where mistletoe twigs adorn the dishware and lights and colors convey a sense of celebration. In the background is a window looking onto a snowy evening.